Disclosure: This post may contain affiliate links. As an Amazon Associate I earn from qualifying purchases. See my Disclosure Policy for more information. 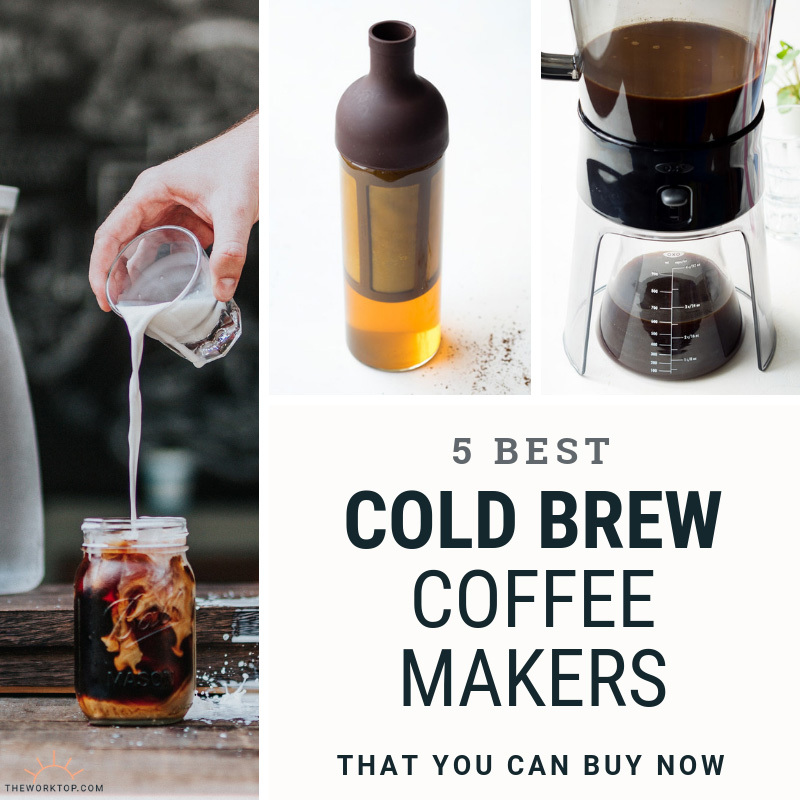 Learn about the best cold brew coffee makers that you can buy. 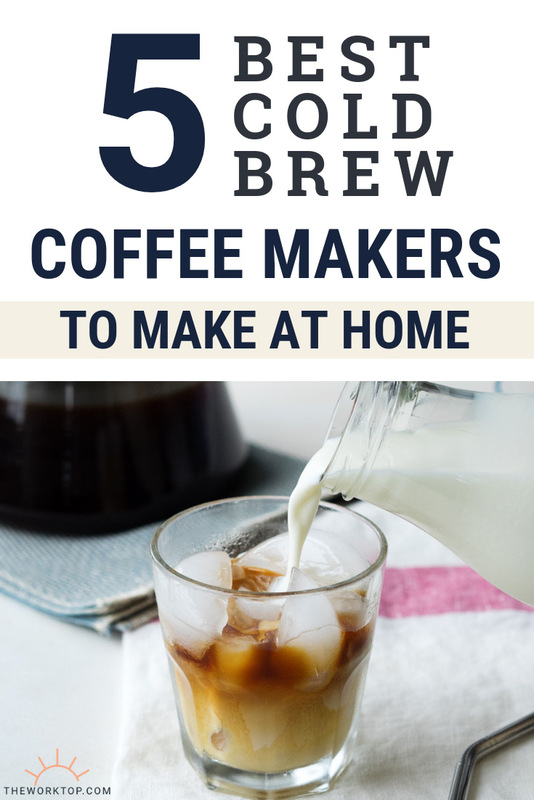 These cold brew coffee makers will help you make the best cup of cold brew coffee at home. 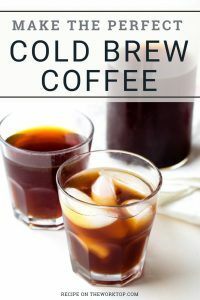 Having a good cold brew coffee maker is extremely important if you are serious about making cold brew coffee at home. There are a few different types of brewing methods for cold brew coffee. 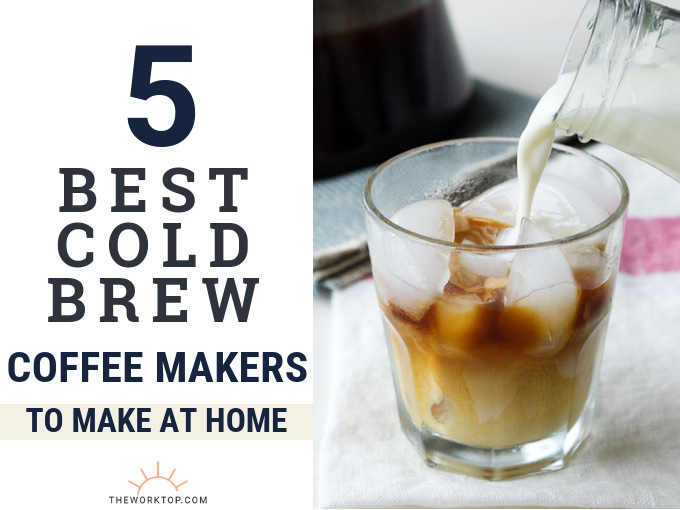 I will give you the best cold brew maker for each of the methods, including short reviews of the various cold brew coffee makers. Cold brew coffee concentrate is intended to be diluted with water or milk. Many of the cold brew coffees you see sold in grocery stores are cold brew concentrates. Making cold brew coffee concentrate at home is easy. If done well, it tastes even better than the cold coffee concentrates can buy at the store too. 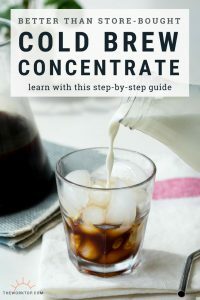 Here’s my very detailed step-by-step guide on how to make the best cold brew coffee concentrate. And after you purchase one of these cold brew coffee concentrate makers, you will save yourself a lot of money. Here are my top three cold brew coffee concentrate makers. The OXO cold brew coffee concentrate maker is a very easy to use cold brew maker. We use this regularly in our home. It’s designed so that after the brewing time, the cold brew coffee concentrate is filtered out by dripping through the bottom of the cold brew maker at the flip of a switch. In other words, you don’t have to touch the coffee concentrate or wet coffee grounds during the brewing process. As a plus, the cold brew coffee concentrate drains right into the serving/storage pot. It’s a very hands-off coffee maker. Once you fill the top container with coffee grounds and water, you can step away and let the coffee brewer do it’s thing. After brewing you literally flip a switch, and then leave it alone while it drains. The OXO cold brew coffee maker comes with a built-in reusable filter, which makes a very clean coffee concentrate. But if you want to filter out even more coffee grounds, you can use an additional paper filter. You just pop it over the mesh filter it comes with. Does this sound like the cold brew coffee maker you are looking for? Buy this OXO Good Grips Cold Brew Coffee Maker. Toddy Cold Brew System is a classic in world of cold brew coffee making. It originated in 1964, and has been going strong since. The Toddy Cold Brew System is similar to the OXO Cold Brew Concentrate Maker above in that the top part holds the coffee grounds and the water as the coffee brews. Once the coffee is done brewing, it drains into a glass carafe. There are three important differences though between the two cold brew coffee concentrate makers. First, instead of a switch to start the draining process (as with the OXO), for the Toddy Cold Brew System, you need manually to remove the plug. Second, the Toddy Cold Brew System uses a reusable filter, which can last approximately 10 uses, or 3 months. Third, you can line the plastic brewing component with this paper filter bag as it brews. In other words, all the coffee grounds sit in this paper filter bag. So when the coffee is done brewing, you simply let all the cold brew coffee concentrate drain, then discard this bag. It makes clean up a breeze. This cold brew coffee maker is as Pinterest-y as coffee makers can get! With this, you make your cold brew coffee concentrate in a mason jar. The best part about this cold brew coffee maker is that it does not include any plastic parts. The brewing jar is glass, and the coffee filter is made with stainless steel. It’s also very quick to clean as all components are dishwasher safe. As with all stainless steel reusable filters, my only gripe with this cold brew coffee concentrate maker is that you may get some coffee sediments in your cold brew. You can minimize this by using a coarse grind coffee. But unfortunately, your cold brew coffee still won’t be as clean as coffee made using the Toddy Cold Brew System, or the OXO Cold Brew Coffee Maker with a paper filter option. Because the mason jar cold brew coffee maker is so large though, any coffee sediment does settle at the bottom of the jar. So if you are careful when you pour out your cold brew coffee concentrate to serve, you can also leave a good bit of the sediment behind. Ultimately, this is a very sturdy cold brew coffee concentrate maker if you are looking to reduce plastic use. Cold brew coffee can also be made so you drink it neat – without diluting with milk or water. Using a proper cold brew coffee maker, you can make a very clean coffee with bright flavor notes and that is smooth on your palate. There’s one brand that I always recommend for making cold brew coffee that is not a concentrate. It’s the same brand that you see in best coffee shops around the world. We have been using this Hario Cold Brew Coffee maker at home for years. 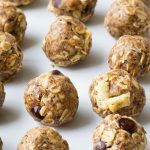 It makes an incredible cold brew coffee that is always clean and flavorful. There’s not too much to this cold brew coffee maker. You put the coffee grounds in the filter, fill up the coffee maker with water and allow it to brew. When the brew time is done, you simply remove the filter basket, and your cold brew coffee is ready. Here’s my very detailed step-by-step guide on how to use this Hario cold brew coffee maker. I love the slim design of it too because it can easily sit on the refrigerator door shelf. Cold brew coffee is great because it can store in the refrigerator and you can make it ahead of time. Cold brew coffee concentrate can store for up to two weeks, while cold brew coffee (not concentrate) can store for a couple days. But it’s true that most cold brew coffee makers make a large batch of coffee. If you are looking for just a single cup of cold brew, the best on the market is this new Puck Puck Cold Brew Aeropress Attachment. Puck Puck Cold Brew Aeropress Attachment just came on the market after a successful crowdfunding. Essentially, this cold brew coffee maker attaches to an Aeropress, and makes a Dutch-style cold brew coffee maker. Otherwise also known as a slow drip cold brew coffee. How it works is that you attach the Puck Puck to an Aeropress maker and fill it with some ground coffee. 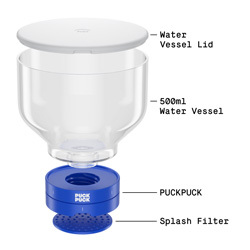 Then you either screw in a water bottle to the Puck Puck, or use the water compartment it comes with. You fill the water compartment with ice and water, and it slowly drips down through the Aeropress and into your coffee carafe. The whole process slow drip process for making cold brew takes about 2 hours, as opposed to the overnight cold brew coffee makers that take 12-24 hours. I love that the Puck Puck is so small and portable, and can make cold brew coffee the same morning that you want it. Yes, 2 hours is still a long time to wait for coffee, but it is quicker than overnight. But the Puck Puck is a little finicky, and takes some practice and experience. The first time I used it, half of my coffee grounds did not even get wet. I didn’t make sure the coffee grounds were level in the Aeropress before starting the slow drip process. If used correctly though, it’s a very neat small piece of equipment that’s perfect for any coffee lover. The Puck Puck isn’t currently available on Amazon, but you can get in touch on their website. With this Cuisinart Automatic Cold Brew Coffee Maker you can make cold brew in as little as 25-45 minutes. This Ovalware Air Tight Cold Brew Iced Coffee Maker has over 1,300 positive reviews on Amazon and comes with a beautiful serving jar. This Cold Bruer Drip Coffee Maker does a Dutch-style cold brew, meaning the coffee is made by a slow drip of ice cold water over the coffee grounds. A breakfast lover and food blogger. 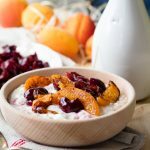 Tina develops everyday breakfast recipes on The Worktop, and writes about all things related to breakfast and brunch. Originally from California, she now lives in London. Read more about Tina Jui or drop an email to say hi. Hi Tina.here you described some cold brew coffee makers.i want to buy one for me.which one will be suitable to buy ! will you suggest me? 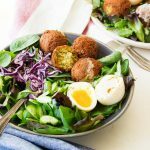 I’m Tina and I share my everyday breakfast recipes here. 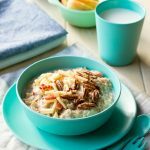 Find easy breakfasts and brunch recipes for the family. Meet me over coffee. © The Worktop, 2013-2017. Unauthorized use and/or duplication of this material without express and written permission from this site's author and/or owner is strictly prohibited. 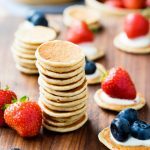 One photograph and a 120 character excerpt may be used, provided that full and clear credit is given to The Worktop with appropriate and specific links back to the original content.